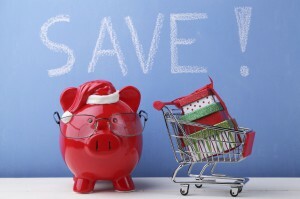 Home » Ask The Experts » How Do I Maintain a Budget during the Holidays? How Do I Maintain a Budget during the Holidays? Don’t let debt put a damper on your holiday cheer. I practically went broke last year trying to make Christmas special for my kids with just my income. A lot of what I bought went on plastic and I barely kept up with the bills once the holidays were over. I don’t want to go through that again this year. So how do I make sure my kids have a good Christmas without getting into debt problems to do it? Once you set a budget, make sure you know where that money is coming from. Do you have free cash flow in your budget to cover that amount or holiday savings set aside in a separate account? Even if you’re putting holiday purchases on credit, you have to make sure you know how you’re paying that debt back. It’s the advice you always hear, but may not follow. You have to plan out what you’re buying for each person, as well as any extras you need for the holidays like decoration. Research the best places to buy. Don’t just go to the discount store down the block because it’s convenient. Take some time to research where the items you want to buy are selling for the best price. If you can get free shipping, buy it online. You save gas, time, and aggravation by making your purchases online. Just make sure that you couldn’t get a better deal if you went to the store. Set spending limits as a group. There’s nothing wrong with talking to the people you exchange gifts with and setting spending limits so everyone can avoid holiday debt. Tradeoff gift exchanges for time together. Taking each other out for a nice meal or spending time together at a local event can even be more special than giving someone yet another gift card. Start shopping as soon as possible. Early shopping helps spread out the cost. In most cases, you want to start once the last holiday ends, so if you haven’t already, Black Friday is the perfect time to start shopping.